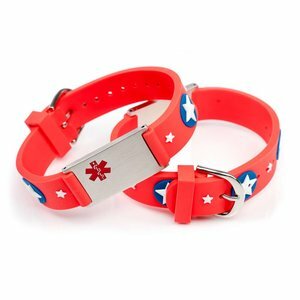 Child Emergency ID bracelet engraved with emergency contact details and other I.C.E. information. 10 lines of text possible; 5 on each side. Safe idea wherever you go. 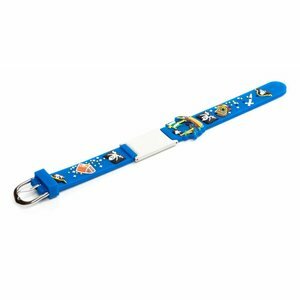 This child safety ID bracelet for children features a soft rubber strap. The parents phone numbers are engraved on the icetag, perfect for day trips, shopping, playing etc. Guaranteed peace of mind. 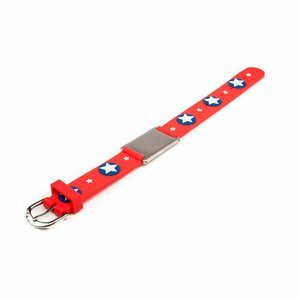 This cute safety ID bracelet for children features a soft rubber strap. The parents phone numbers are engraved on the icetag, perfect for day trips, shopping, playing etc. Guaranteed peace of mind. 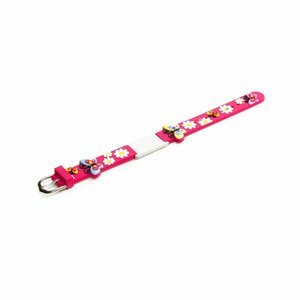 Super cute pink ID bracelet with harts. 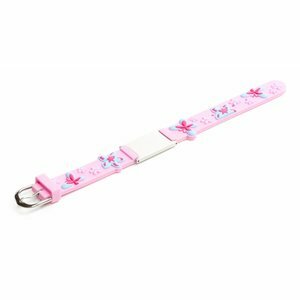 Ideal for your little girl that loves both. The stainless steel ID tag offers you space for important information like you phone number, d.o.b., etc. 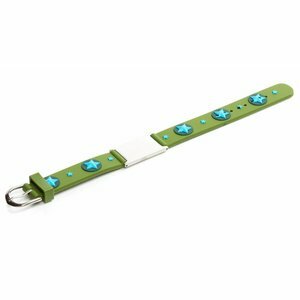 This beautiful safety ID bracelet for children features a soft rubber strap. The parents phone numbers are engraved on the icetag, perfect for day trips, shopping, playing etc. Guaranteed peace of mind.